Mosquito abatement technicians will be spraying Wednesday in the city's northwest side and in some northern suburbs, in an effort to combat the spread of West Nile Virus. In Chicago, parts of Dunning, Norwood Park and Portage Park neighborhoods will be sprayed starting at dusk until about 1 a.m. For exact locations, click here. Parts of Glenview, Northfield, Skokie and Wilmette on Wednesday, September 2, 2015, between the hours of 8 p.m. and 2 a.m., weather permitting. For exact locations, click here. 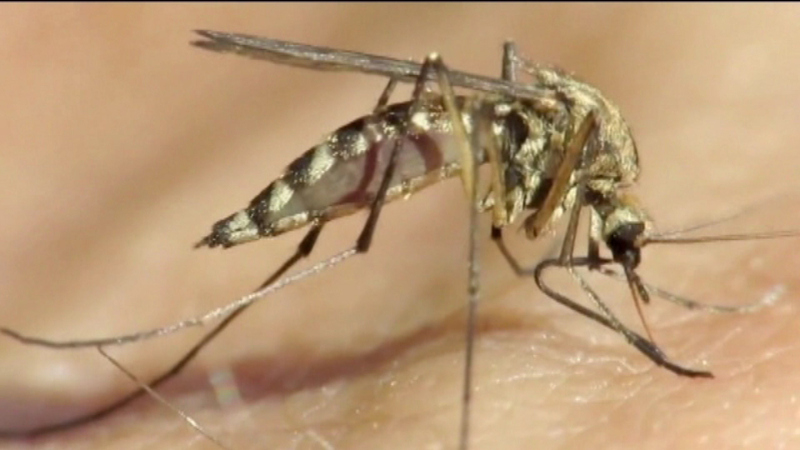 On Tuesday, officials said a second person was killed in Illinois this year due to West Nile Virus. The spray is not harmful to people or pets, but residents may still want to stay indoors and close their windows as an extra precaution. In Chicago, several other neighborhoods have been sprayed including Austin, Belmont-Cragin, Dunning, Montclare, Auburn Gresham, Washington Heights, Archer Heights, Ashburn, Gage Park, Garfield Ridge and West Eldson neighborhoods.